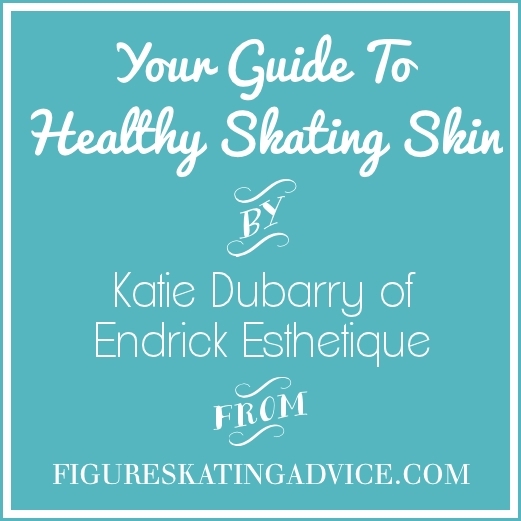 Today Katie is going to be talking particularly about the problems of dry and dehydrated skin, conditions affecting many a rink dweller world-wide, possibly without them even realising it. From here on in it's Katie, and don't forget to check out and Like her Facebook page! Dry and dehydrated skin, so what is it? A really common problem in a dry, cold environment like the ice rink is ‘dry’ skin. Now I say ‘dry’ because most skaters (or supporters) will actually be suffering from dehydrated skin. So what’s the difference I hear you say! A true dry skin is one that is oil deficient, for one reason or another the skin is not naturally producing enough sebum. This occurs naturally with age, post-menopausal skin does not make as much oil as 20-year old skin. It can also happen because of medication or over-enthusiastic cleansing or exfoliating. Dehydrated skin, on the other hand, is simply lacking water! This is a much more common problem than oil-dry skin. It can also be caused by over zealous cleansing but also insufficient water intake, exposure to dry atmospheres and changing between hot and cold environments. It can be difficult to determine whether your skin is dry or dehydrated, because they present many of the same symptoms. Both will feel tight and look dull. The easiest way to determine what the condition of your skin is would be to visit your friendly, local skin therapist. They are used to touching and seeing all skin types and can give you personalised help really quickly. However I am going to give you some tips you can use at home that should at least give you some temporary relief and help determine if you are using the right products in your bathroom every day. I you wear make-up regularly there is a neat way to determine if your skin is dry or dehydrated. You will probably already have noticed how your skin acts after a couple of hours with your foundation on. Does it feel as if your skin is ‘drinking’ your make-up? Does your foundation seem to stick in some areas like the cheeks or forehead? This can give the impression that you have used a darker shade on different parts of the face. If this is case your skin is trying to absorb the oil in the make-up, your skin is probably dry. On the other hand, if you feel like your make-up doesn't last and streaks, smears or wipes off, it’s more likely that your skin is dehydrated. Now be aware that this also happens to oily skins, but your skin can be both oily and dehydrated at the same time! So what can we do to help a dry or dehydrated skin? There are plenty of easy ways to improve your skin without even touching new products. First thing to do is evaluate how much water you are really drinking every day. The NHS (editor's note: National Health Service, the UK's publicly funded health care system) advises drinking 1.2L of water a day to stay in good health! That might seem like a lot but if you spread it throughout the day its only 6-8 glasses, fruit juice and other drinks count too! Other habits that are drying out your skin include smoking and excessive sunbathing or UV tanning. Now we all know about the health risks associated with these, but did you know that they could be dehydrating your skin and making it look dull and grey? The chemicals in cigarette smoke deplete vitamin, mineral and moisture levels in your skin. Did you know that 2% of the bodies respiration occurs not in the lungs but through the skin? With all those nasty compounds hanging around your skin can’t breath correctly and will accumulate toxins, leading to breakouts, sensitivity and premature ageing! Regarding sunbathing, excessive exposure will chronically dehydrate your skin. If exposure is bad enough i.e. bad sunburn your skin can be dehydrated right down to the dermis. This is where essential skin functions are carried out and where new skin cells are formed. Damage this deep in the skin is irreversible! Please remember to be reasonable in the sun, always protect your skin and avoid UV tanning completely. Fake tanning is so good now that there is no need to damage your skin for a tan! After cleansing, you need to make sure you’re replenishing your skin and locking in moisture. You want to avoid any creams that contain mineral oils, these do not penetrate the skin like botanical oils, they simply sit on the surface not doing anything! They are widely used in skincare because they are cheap and make it easy to bulk up products. Look out for: paraffin, paraffinum liquidum or petrolatum in the ingredients list, these are the most common names your will see. For a great natural moisturiser you could try Weleda’s Iris Hydrating Facial Lotion (£11.95 for 30ml). Available online and in many high street stores, this good all-rounder contains jojoba oil to restore the skin’s natural barrier. It also uses glycerine, a humectant ingredient that loves to absorb water, to bring moisture back to the epidermis (the top layers of the skin). If you really want to boost your regimen, you could go for a super-charged serum! These concentrated products have been used by professionals for decades and have become popular for home use in the last few years. You layer your serum underneath your moisturiser, morning and night, easy peasy! The texture feels quite thin and watery; you should need only one or maybe two pumps for your whole face and neck. Why not try Eve Taylor 100% Pure Hyaluronic Acid serum from their Advanced Therapy range (£24.99 for 30ml). Hyaluronic Acid occurs naturally in our skin, forming part of its natural barrier. Adding hyaluronic acid into your products can really improve moisture levels, leading to smoother, more radiant skin! 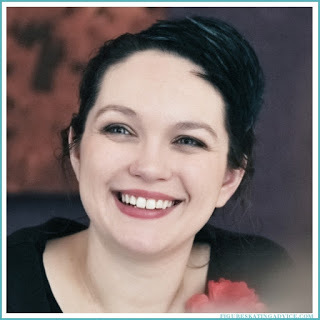 Hopefully this guest post helped you get to know your skin a little better, and learn about a few things you can do to keep yourself looking fantastic, rink-side and everywhere else! Remember to leave a comment or Like the post below to let me (and Katie) know what you thought of it! Until next time, keep on looking fabulous lovies! Great post thanks, it's really well explained. I'm not a skater but a fellow therapist and beauty and health blogger. I use Eve Taylor's Hyaluronic Acid in the autumn and winter as my skin reacts badly to the central heating and extreme change in temperatures between the indoor and outdoors. It not only brings extreme hydration to my skin but also calms down the prickly irritation I experience. I highly recommend giving it a try, as with all of Eve Taylor's products a little goes a long way.